Another year is drawing to a close, and that means it's time for the annual Vision Report! Those who have been following this ministry for a while will know this when I take a moment to reflect on the year gone by with its highs and lows, and update you with the plans for the year to come. The major project for this year was "The War On Truth" which I really enjoyed making. In fact, I'd probably go as far to say that it's my favourite series to-date. The premise had been circulating in my head for a few years - I remember vaguely trying to explain the idea of "Hard Virtues" and "Soft Virtues" to a group in 2014 and not quite being able to find the right words! So it was gratifying to finally bring it to life in 2017 and the response has so far been very positive. If you haven't watched it yet, click the playlist above! If I can sum up the year in one word, it's "growth", and the most important growth figure to tell you about is that 129 people have now written to say they became a Christian as a direct result of this ministry. To know that lives, and even eternities, are being changed is so exciting. In fact, that's the entire reason The Fuel Project exists! Making these books and series is often a solitary task and there's always that voice of doubt that wonders if it's going to make any difference, or if anyone will even care. To hear these stories of people coming to faith makes it all worthwhile and inspires me to keep going. I was also sent an email three days ago from a Fuel group explaining that a Muslim man had come to them recently, been convicted and baptised. He now meets with their group weekly and is being discipled. Stories like that remind me that it's not just what the books and videos directly do, but how you guys take the principles and apply them in your lives that makes a real difference. It reminded me of another of my favourite stories from the year about this Fuel group in Texas who helped a homeless couple get back on their feet. Click the link to read the full story. This is what Christianity should be. Disciples making disciples who make disciples. Remember that if you have a testimony to share, you can do a 2-3 minute video and I'll be happy to post it to encourage the Fuel community. This year has also seen a big growth spike on social media. Around this time last year, there were 28,500 followers of The Fuel Project on Facebook, but at the time of writing, we're sitting around the 49,500 mark. To put that in context, the average growth rate until 2017 was 5,500 per year, but this year alone, 21,000 new people hit the "Like" button. Welcome to everyone who joined this year, it's great to see you and thank you for being a part of this! The third area of growth has been in regard to funding. One of the problems this ministry had in the past was inconsistent income. It used to be the case that we relied almost entirely on DVD sales, book sales, and occasional PayPal donations to survive. This was quite an unstable position to be in and it made it difficult to plan ahead and execute ideas. There were added problems coming onto the horizon in that DVDs are starting to be ditched in favour of streaming, and in March 2017, the online environment became more hostile when YouTube blacklisted The Fuel Project channel and withdrew ad revenue from many videos due to the fact the content is not deemed "advertiser friendly". Around this time last year, however, one of our followers (Hi Kranthi!) suggested setting up a Patreon page so that people could give more consistent support. This has honestly been a lifeline. In fact, it's been so important to the continuation of this ministry that The Fuel Project probably wouldn't exist right now if it wasn't for its patrons. That's how important they've become. Thanks to all who believe enough in this ministry to give. 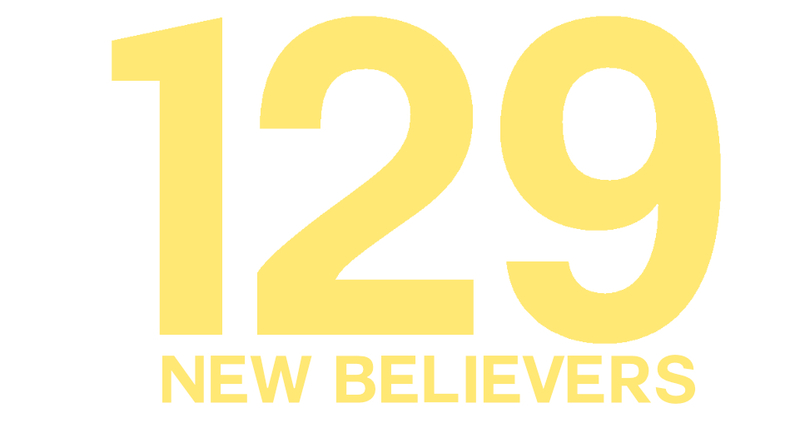 Every new believer and every life changed this year through this ministry couldn't have happened without you. The final area of growth I want to mention for this year is my own personal growth. In last year's Vision Report I talked about how I want to "clothe the truth in beauty." When we speak truth we connect with the head. When we show beauty we connect with the heart. When we connect with both at the same time, it's powerful. Therefore, I want Fuel videos to always become more visually engaging to facilitate the message. To that extent, I've been studying cinematography and investing in new equipment throughout this year. I've also been offering my services to churches and other ministries for free so that I can practice the art. (Above is a video I made for a new church plant in Scotland.) As I keep practising these skills, I hope that each new Fuel series, and video, becomes more visually appealing. And that leads us onto the year ahead! First of all, I can't believe I'm writing 2018 down. It seems like such a futuristic number - time moves so fast! 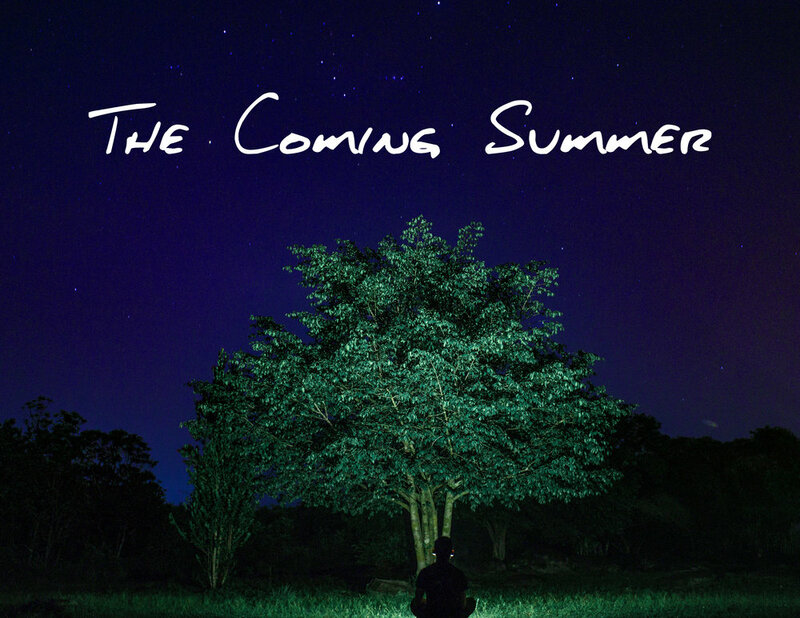 Over the past couple of months, I've been writing the next project, which is called "The Coming Summer". And incidentally, it too, is about the future. The concept of this project is one I've had jotted down for many years, and it's to examine 17 Biblical signs of the end-times and to compare them to the real world today. To explore how prophecy is coming to pass all around us. The book is already finished and should be available in January, once the cover art and general design is finalised. The video series will then be produced over the first part of the year and should start rolling out in the Spring. If you would like to contribute to this series, we're actually looking for help with street interviews. Click here to get a list of the questions we'd like to have answered. We've already got a few people involved with this but need a lot more! Experience says that it's only possible to do one major series a year - this is our 7th year and we've done 7 projects in total. "The Coming Summer" will be the 8th. However, if there is time later in the year, there are a few options on the table for Series 9. The one that appeals most at the moment is a double-album idea on joy and sadness. But there are also series on the holidays, hell, and the ever-elusive Kindling to make. We can talk more about that later in 2018 though! Finally, the long-term vision for this ministry remains to eventually build a small team of around 4-5 people who are talented in the areas of cinematography, graphic design, animation, editing, admin, teaching etc. and who can create the highest quality Christian content, as well as going out to visit churches to teach on topics that change lives. In the meantime, The Fuel Project has always benefited from volunteers donating their skills over the years, and this year was no different. I was excited to welcome new animation help from Jocelyn in Los Angeles (she did the animation in The War On Truth) as well as graphic design help from Camille and Amy - you can see some of their handiwork on our Instagram page and in our store. Seeing how their talents elevated the content has made it even more desirable to have a permanent team who can work together to create amazing things. If Patreon support continues growing at a steady rate, we may be able to dream about adding a new team member in 2018. Everything else will hopefully continue as before! You can still connect with other Christians through The Fuel Network which continues to expand in every continent. Answers videos will continue to be posted whenever possible. As will Fuel News videos on Facebook. Thanks again to everyone who supports this ministry in any way. Thanks again to all volunteers who have willingly given of their time and skills to help out. Have a very happy time with your friends and family over the holidays and I'll see you again in 2018!